Hello again all! I’m back from my month away, and even though some things about Southend still bring back some of the less-pleasant experiences I’ve had there in the past, overall it was a useful trip. Firstly, it was experience of living out of a backpack for a month, and not a terribly big backpack at that. This encourages me, and shows me just how little I can live on. Secondly, being in a place that pings a few anxieties, although familiar and not far from home, is valuable experience. Sometimes it’s good to tackle these things head on. And that brings me to today’s post. So, my first trip abroad since starting this blog has been booked! I’m off to Italy in September, and this is a great starting place for me. It’s a country I love and that I’m pretty familiar with, where I can speak the language. It’s an ideal first step to pushing my boundaries and going somewhere a little different – it would be easy to stay in that comfort zone and go only to places I’m familiar with, but I’m not intending to do that. I’m fully intending to push my comfort zone a little further with this trip, visit places I’ve never been to, take some chances, explore and be spontaneous. And if I can do that in Italy, I can take a step outside my comfort zone and do it somewhere that I’m not familiar with at all. I’ve got a whole list of countries that need exploring. But this got me to thinking: for those of us with anxiety, what’s the best way to take that first step? If you want to travel, but you’re someone who doesn’t have that comfort zone country to use as your stepping stone, what do you do? And what about the general anxieties that hit all of us, even when we’re going somewhere we have a good knowledge of? 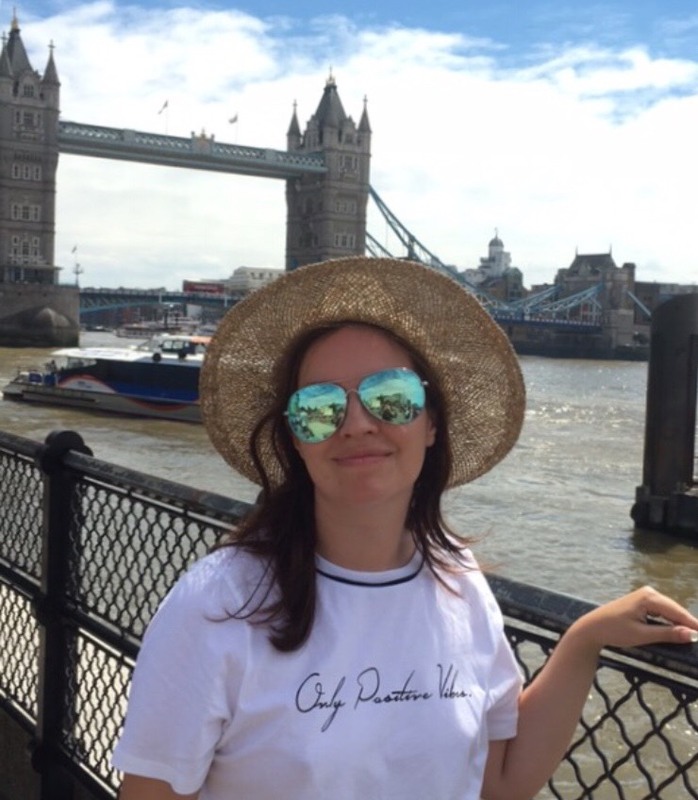 Well, I’ve been thinking about what I’ve done in the past, and what I will most certainly do again – take it from me, as someone who cancelled a trip costing £1500, I’ve thought about it a lot. 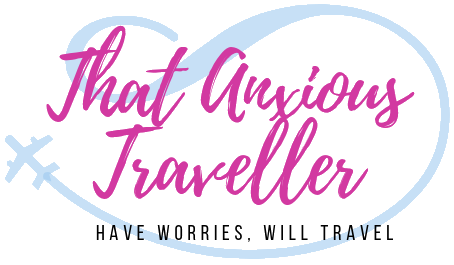 So here we go: five tips to make the whole process a little bit easier on the anxiety sufferer, and the nervous traveller. 1. Think long and hard. We’re told quite often that being utterly spontaneous is the only cool or authentic way to travel. Television adverts for apps show happy couples clicking on their iPhone and booking a last-minute jaunt to Exoticland, before smiling lovingly at each other, picking up a small designer suitcase, and heading for the airport. And I don’t knock that at all, spontaneity in travel is absolutely something to be encouraged – sometimes, that’s the way that you find the cool stuff that you never expected, and I have those apps on my own iPhone (though I don’t have the designer suitcase. Or perfect hair). One of my own goals is to be able to book a trip last-minute, and go without a thought. But, remember that there are no rules to being a traveller. That way doesn’t work for everyone, and that’s okay. It’s not the only cool and authentic way to travel. Don’t feel pressured into travelling in a way that makes you uncomfortable. So there you go. You’re not alone. You’ve decided that you want to travel, and that is awesome. Seriously. I’m very proud of you! Time to pick your hotel and travel experience, and feel good about it. We’re very lucky in this day and age; we have the whole of the world to help us out. Yup, the internet. The same survey that I mentioned above revealed that the average Brit has changed the way that they prepare for travel, completely due to the internet. It used to be the case that people travelled fairly blindly – it was a case of picking out a hotel that looked quite nice (I remember being a child, and picking the family holiday hotel based purely on how nice the swimming pool looked), and trusting that the area around it wasn’t a swamp/red light district/warzone. So the first thing you’re going to want to do is go on TripAdvisor, and Google Maps. Both of these are massively reassuring for the anxious traveller. First, TripAdvisor. Have a look at the top-rated hotels that are in your budget, and see which one suits you best, whether that’s due to location, general vibe, or whatever criteria you choose. You may find a couple of reviews that make you feel a little uncertain, but remember: if you’ve chosen a hotel with generally good ratings, the chances are that one or two bad points about your accommodation are going to be massively outnumbered by good points. Next, look up your hotel on Google Maps. See what’s in the area. Go on to street view, and have a look around. All looks about right when you compare to the reviews on TripAdvisor? Then you’ve found a great hotel; go book it! And speaking of books, I’m going to again talk about my love of the travel guide. Anyone who’s had a look through my posts will see how much I love travel guides, and that I have a total addiction to them. I’m going to do a post in the future doing a bit of a review of all the various guides you can get, but for this article I’ll use my beloved Lonely Planets as an example. Not only can you get accommodation recommendations, but an overview of places to visit, maps, restaurant listings and phone numbers, culture explanations with do’s and don’ts, measurement conversions, useful phrases, history, health tips, and suggested itineraries? This is invaluable to the anxious traveller. Buy the guide. Don’t wait until you get there to read it, read it now. You’re going to arrive as a cool, calm, informed traveller, not a stressed out, worried one. They’re worth their weight in gold. You’ve booked your tip! Yaaaaaaaay! You have so much to look forward to, you lucky thing! (don’t forget your sunglasses, go pop them in your bag now.) But I can see that you’re still feeling a little uncertain. You’re worried about not being able to communicate when you get there, aren’t you? You’re visualising yourself hopelessly lost in a foreign city, people barging past you, not being able to ask for help. Don’t worry, mate. I’ve got you covered. As I said before, these are the days of miracle and wonder (points if you know which song that’s from) and the internet, and learning a few words of a language has never been so easy, so cheap, and so rewarding. Again, this is something I’m going to do a proper review on at some point, but there are a smorgasbord of apps and websites that can teach you a language for free, or for a small subscription if you fancy taking your studies a bit further. I’ve learnt Italian to a fairly decent standard over a couple of years of using these, and I can absolutely assure you that they work, and that they’re worth the money. My most-used apps are Duolingo, Babbel, and Memrise, and I thoroughly recommend all three. They all have a good selection of languages to learn, and excellent content – Duolingo also provides some good learning humour, with some phrases that you’ll probably never require, but which will give you a good laugh. By the way, no one is expecting you to be fluent. Take that pressure right off your shoulders. But you’ll feel so much more in control if you can speak even a few words of the language. Who’s going to be the one who can read all the signs in the airport, and knows where to go? That’s right, you. Who’ll be able to ask for help if you get lost, and understand the directions? Yup, you again. And you may well make new friends with your new language skills, which is one of the most precious travel experiences of all. Oooo, you’ve only got weeks to go until your trip! You lucky thi- wait, you’re looking nervous again. That’s okay! Don’t worry about being worried; it’s natural, and everyone does it. But there’s a way to make it easier. You’ve been pretty organised with your approach to this trip, and now it’s time to step it up a notch. Gather everything you need for your trip – all your travel documents are going in a folder. Print out everything you need from your computer, and pop that in the folder too. Also, take a photocopy of your passport. Hopefully you won’t lose your passport and need to use it, but it’s a safety net that’ll be there if worst comes to worst. Everything important secured in your documents folder? Good. Pop it in your hand luggage bag. Now, on to the majority of the stuff you’ll be taking. Make a packing list. Download a packing list app for your phone, have a browse through their suggested lists, and see if there’s anything you’ve forgotten. Think about the places you want to visit – going to be visiting religious sites? Remember something to cover up. Going to that fabulous-looking viewpoint halfway up the mountain? Hiking boots. Gather everything together. You don’t have to pack it in your bag/suitcase yet, but you have it organised. You can alter or add later if you want. And remember, if you forget to pack something, airport shops are usually fully stocked with the kind of thing you’ve forgotten, particularly phone chargers and adapters. 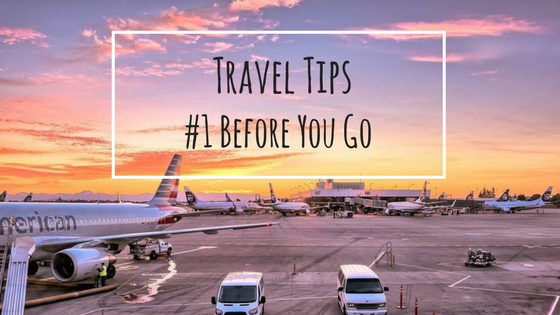 Arrange to get to the airport in plenty of time, and make plans for how you’re going to get there. You don’t need to leave this stuff to the last minute. Wow, it’s the day we travel, and we’re at the airport! That seems like no time at all since we booked it! But I’m kind of anxious about flying. You look a bit worried too. So I’m going to share my tip for this situation. Keep moving forwards. And I mean that both physically and mentally. When I flew (successfully!) to the USA ten years ago, I had a major anxiety attack when I got to the security gate of Gatwick Airport. To me, that seemed like the huge step that had to be taken, the final enormous hurdle, and I couldn’t do it. I walked up to it apprehensively, stopped, and froze. It was a pure mental block. It felt that as soon as I went through the security gate, then there could be no turning back, and I was suddenly unsure if I wanted to do the journey at all. With my fear of flying, it felt as though I were signing my own death warrant by stepping through there, into the departure lounge, and on to a plane. It may as well have been a brick wall, and I started getting tearful and panicky. So I solved it by moving away from the security gate, but moving forwards. As long as I was walking, I felt okay. It’s well known that walking is great for anxiety, for three reasons – it burns off excess energy, it forces your breathing to become stable and gets oxygen into your body, and it distracts your mind. I can’t recommend walking enough if you’re a fellow anxiety sufferer, for general day to day life, as well as travelling. I did five laps of Gatwick Airport before I was finally ready to walk squarely towards the security gate, hand over my passport for inspection, and go through and get on a plane. I was fine the whole time. I’d gotten over that final hurdle; I flew to the USA and had a fantastic two-week trip to the Rockies. If you get to the airport and you feel that sinking sensation, walk, walk, and walk some more. Welcome home 🙂 and thanks for another beautifully written article. Great advice too. It doesn’t matter how many miles you travelled; it’s the way you did it and how genuinely you write about it. A point about the ‘spontaneous’ travel… it’s quite an interesting one and I do think founded on myth. After all, the adverts you mention are the work of painstaking research and a large team of creative professionals, constructing a certain narrative that will sell flights, hotel rooms, very nice suitcases, etc etc. Nothing wrong with appreciating this scene for what it is and being inspired to daydream. However we all do our own research and that can be it’s own kind of fun, reading, planning, talking, writing…. and the travel experience that follows is the better for it. This is inspiring… Most of my traveling anxiety right now is money related and work related. My partner wants to go to Las Vegas to meet up with some friends, just for one weeknight. I’ve been saying I don’t want to go, but maybe I should. If I can. One of the problems is I’m kind of in a transition period and I really don’t know if I’ll be able to skip a day of work. Thank you for this post! Doing these tips will also build your confidence when hiking. One thing that I learned from my few hikes is to pack smart. I always pack light so I searched for things that are light and useful like that collapsing water bottle i found in roadeavour. That’s great advice; I definitely agree with you about packing smart – I’ll be covering that in a future travel tips! And a collapsible water bottle sounds really handy, I’ll have to check that!